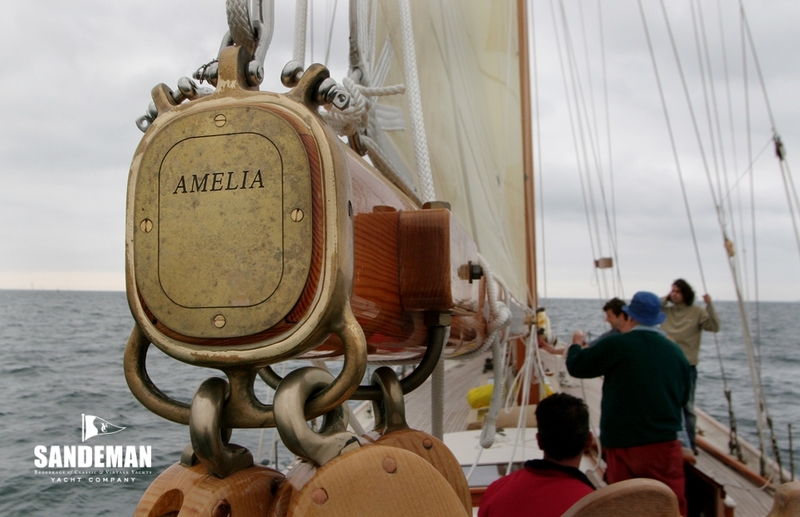 AMELIA is a supremely elegant classic schooner launched in 2007, blessed with designer Ed Burnett’s amazing ability to create yachts in the style of an earlier age and which really do sail. 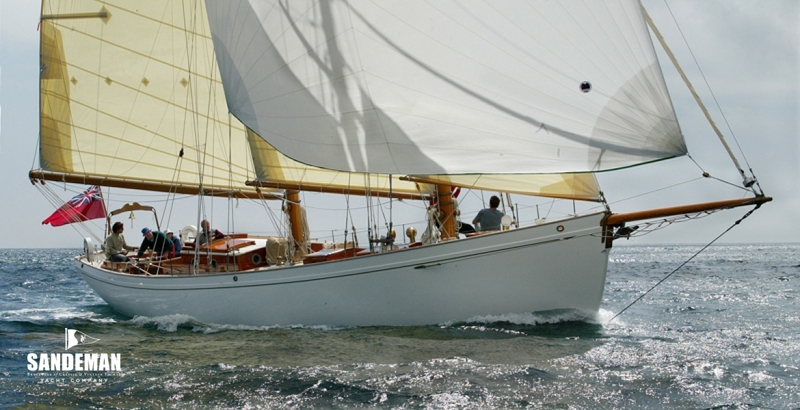 With a single minded, even stubborn approach to the concept he has applied his skill to every element of style, substance and detail, thus combining the beautiful lines of a pre-war \"gentleman\'s yacht\" with the comfort, spaciousness and equipment more appropriate to our times. 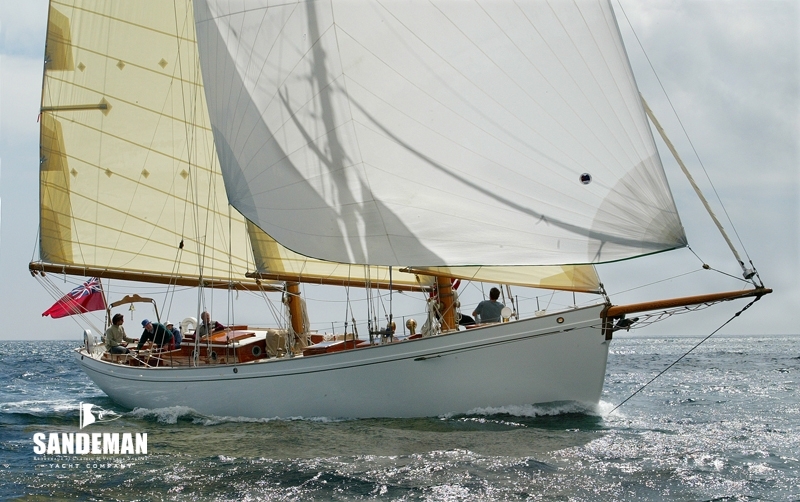 Built of first class materials to the very high standard one would expect from the yard of Martin Brake, AMELIA attracts admiration and compliments wherever she is seen. The owner\'s brief to the designer of this bespoke yacht was for a fast and stylish vessel that could be sailed with family and friends in comfort. Special attention was given to some particular aspects such as providing wide berths and allowing generous space on deck enabling for example a table to seat 6 for al fresco dining. 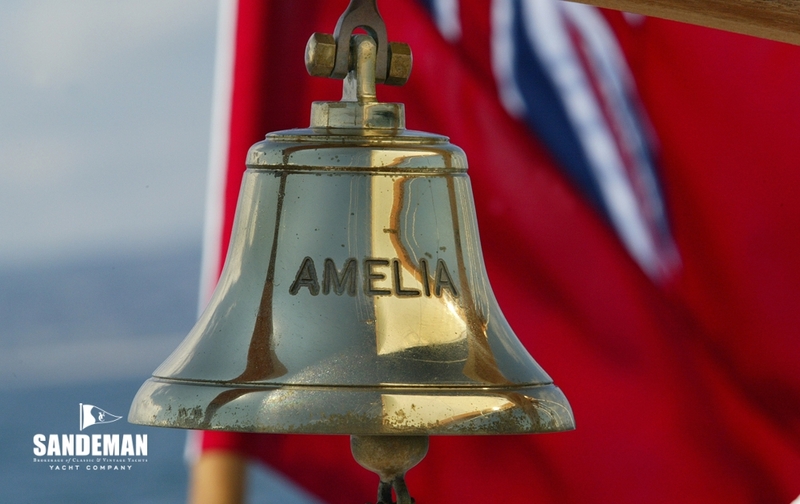 AMELIA has every modern convenience including air conditioning and electric lavatories, which together with the spacious interior makes her possibly the most comfortable \'spirit of tradition\' yacht of her size afloat. 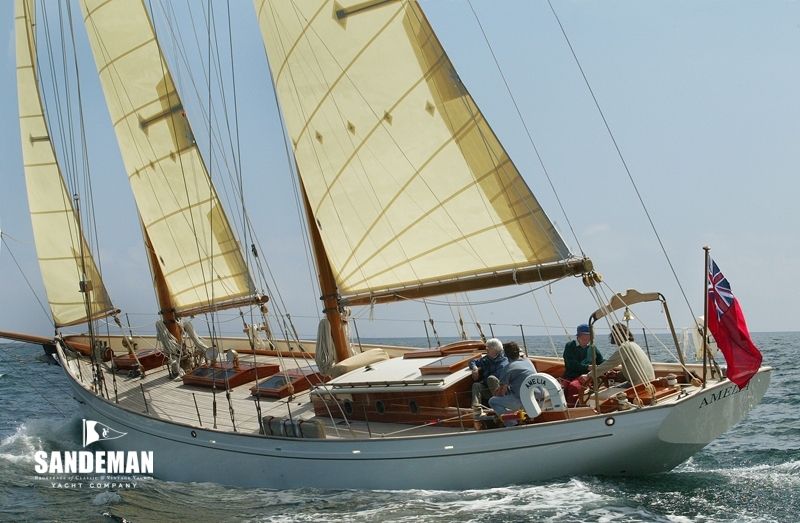 She sails like a dream. 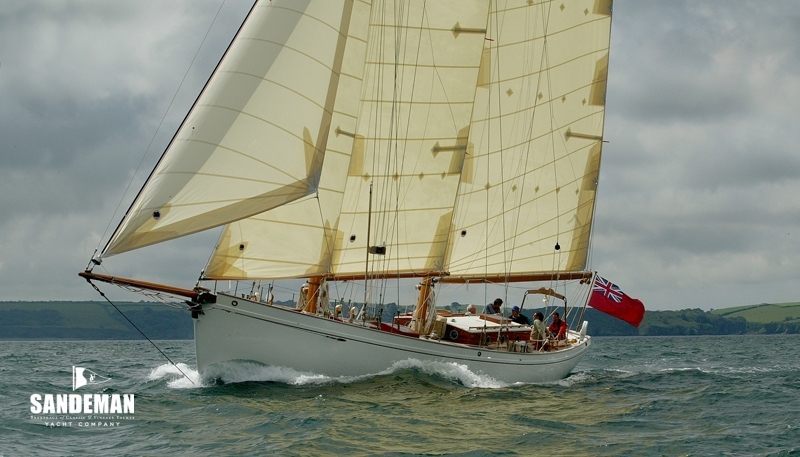 Her long keel and fairly heavy displacement give her a very sea kindly motion even in adverse conditions. 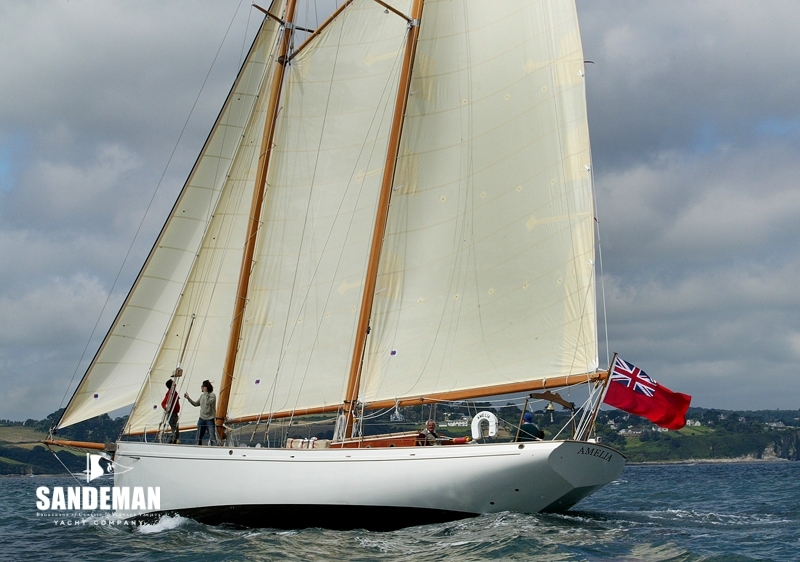 Nevertheless she is fast, for example averaging over 7 knots, nearly 180 miles per day on her maiden voyage from Falmouth to Lisbon. Yachting World Magazine\'s predicting we could \"expect something special\" with this yacht has undoubtedly been well founded. Moreover - at less than 3 years old, AMELIA’s condition remains faultless and her inventory complete. 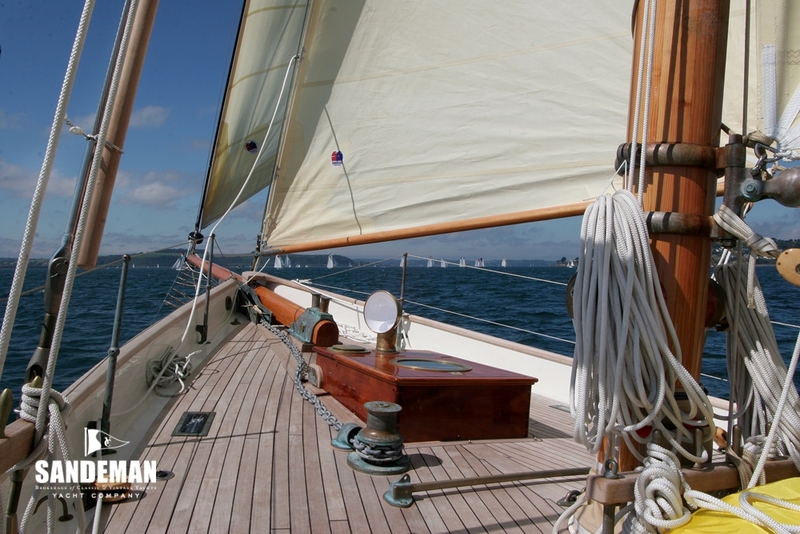 It would be hard to find a yacht as ready - as there is simply no work to be done. 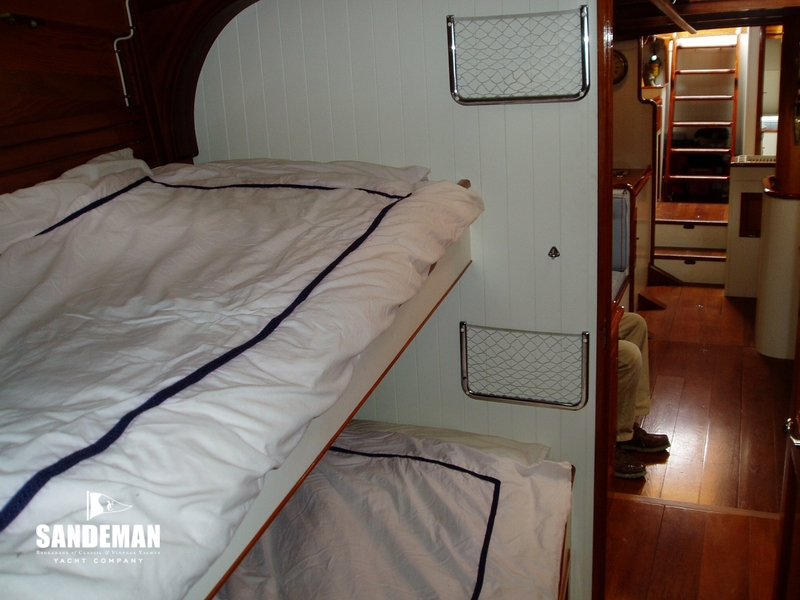 She sleeps 7 in 4 cabins. 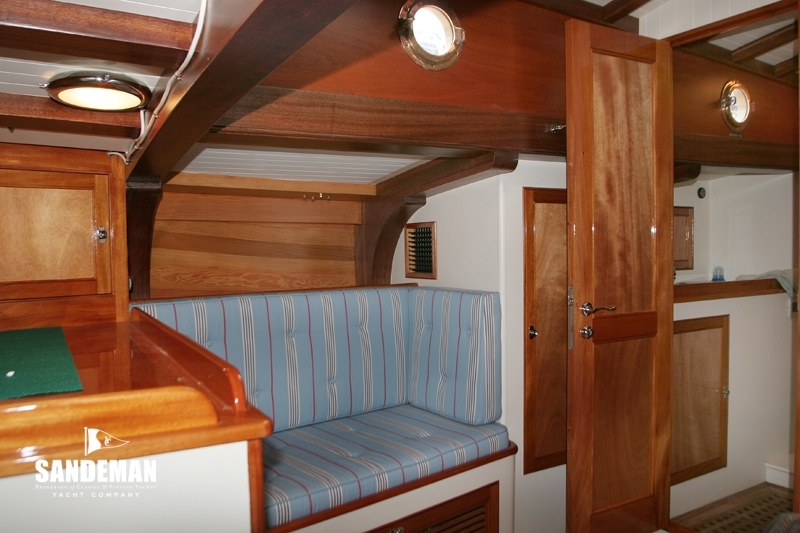 Descending companionway steps offset to starboard and for’ard of the cockpit one enters the main saloon with galley space to port, oilskin locker and navigation to starboard. 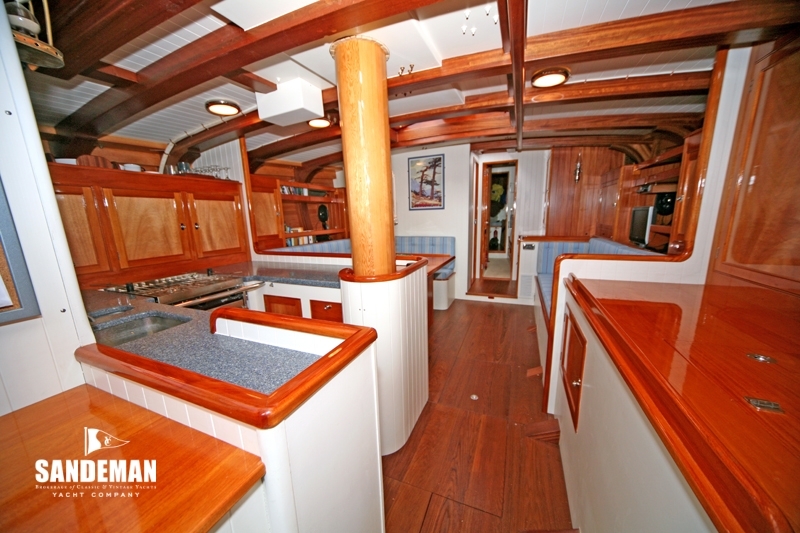 For’ard of these the saloon opens up with generous seating port side and by the forward bulkhead to the dining table. 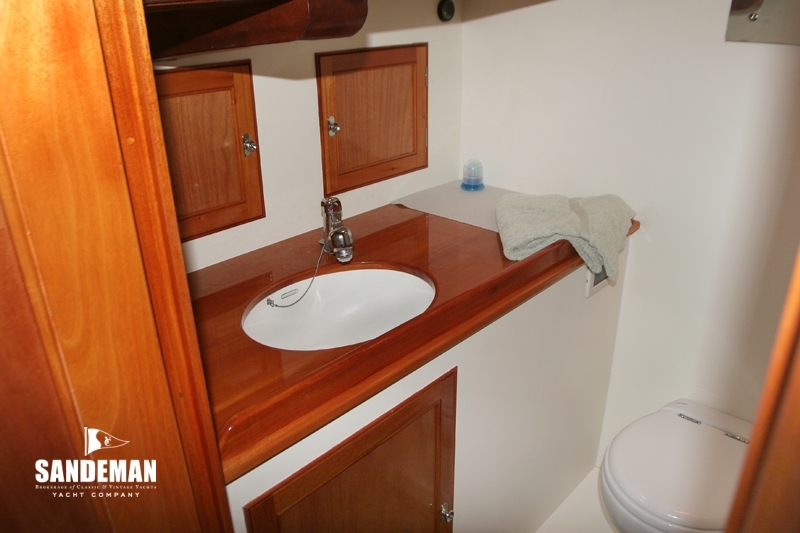 Beyond the bulkhead leads to cabins with up and over single berths on both sides, that to port with en suite head; WC and basin, accessible also to the other. 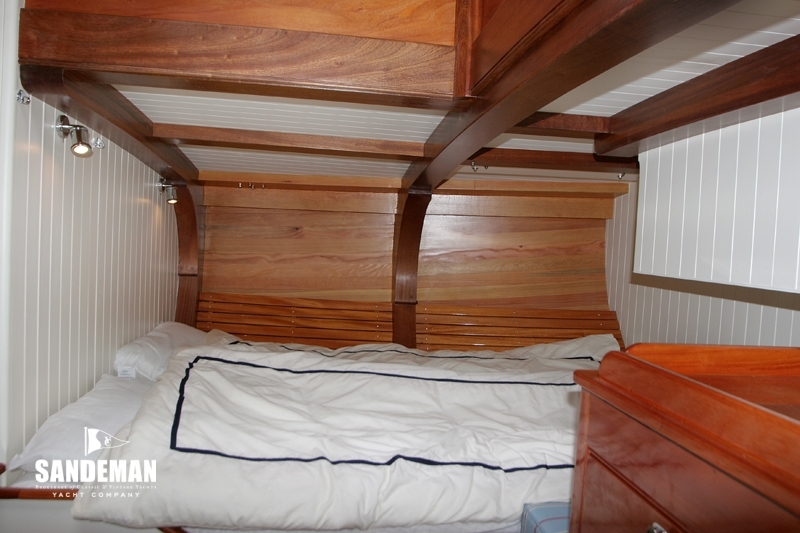 The companionway leads beyond to the fore peak single berth cabin with WC. Coming back down the companionway aft one re enters the saloon with more seating to the starboard side - away from the table. Beside the exit steps aft is access to the owners cabin suite athwartships aft with double berth seating area and en suite head; WC and basin. There is ample storage space in a variety of lockers throughout. 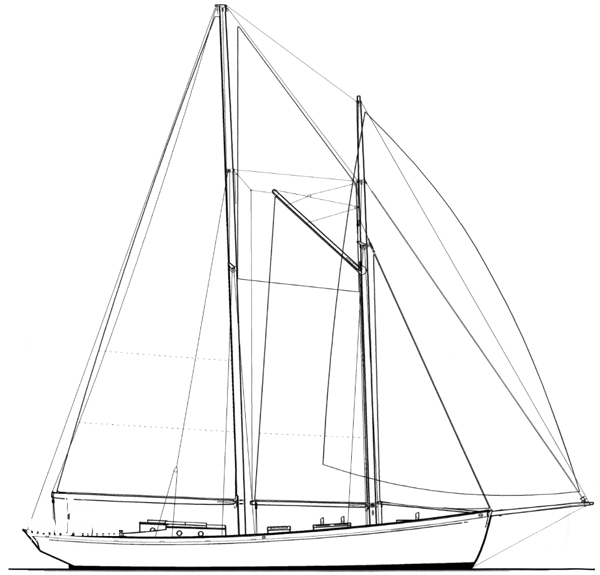 Rigged as a two masted schooner with a fore mast gaff, the hollowed spars are of Douglas fir. The mast hoops are of English ash. - Butterfly hatches / skylights over saloon, port and starboard cabins.